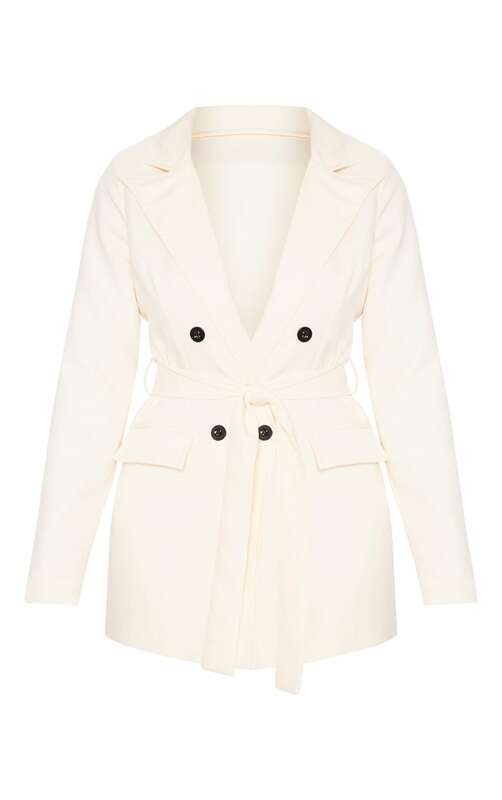 Give your wardrobe a tailored touch with this longline blazer. Featuring a cream material with black button fastenings and a waist-cinching belt tie. Style this blazer with the matching trousers, strappy heels and complete the look with some statement jewellery.